As you know, we like to spread our capital to several brokers. At the moment, we have a maximum of $5000 deposit with any one broker at any time. It’s not a lot that we deposit per account but we rather spread our eggs all over the place. Maybe one day we will increase our deposits per broker but for now it’s $5000 limit per broker. Recently we came across a Broker that has received good reviews all over the internet and we decided to check it out. 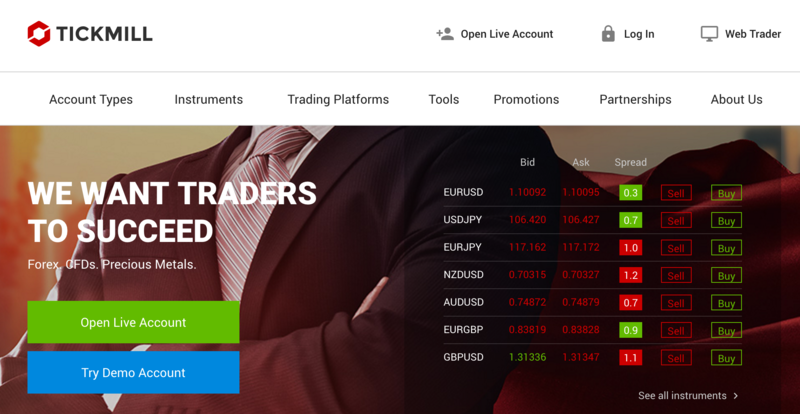 So we opened our brand new live Forex account with Tickmill.com. And after trading for several weeks with Tickmill, we figure it’s time to write a Tickmill.com review and share with you our experience with Tickmill. Tickmill.com Review – Fast Execution and Tight Spreads. Impressive so far! Tickmill.com Review – Why did we decide to open a live trading account with Tickmill.com? Like most traders, we have been burnt before by scam brokers. And we learned our lesson well. One way we combat this is by limiting our account to $5000 max per broker. Another way is we look at reviews from different sources to make sure that the broker is good. And once we have decided that the broker is good through reviews, we will start with a small account and slowly increase our deposit gradually on a weekly basis as we trade. If we continue to make a profit and we are happy with the spread, we continue adding (like a weekly savings plan) until we have a $5000 deposit before we look for a new broker to trade with. The main thing that gave us confidence with Tickmill.com is the general good reviews from various review sites. 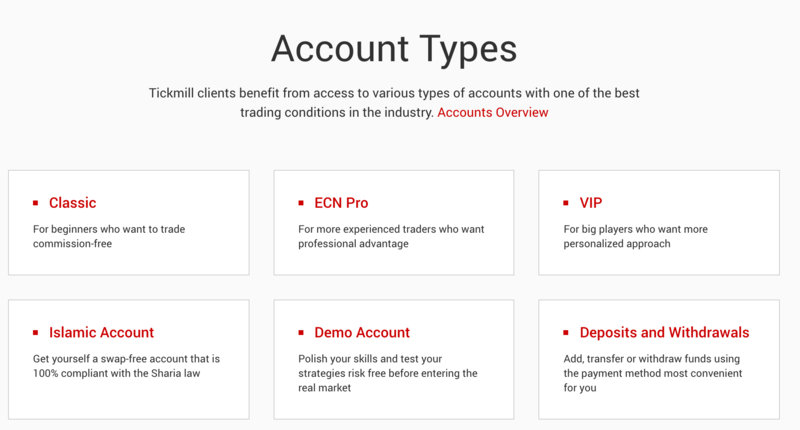 “To be honest as a newbie , trading with ECN Broker like tickmill is a new experience for me. Because i am usually trade with fixed spreads broker that provide cent lot trading. I heard rumors if in ECN Brokers -spreads will be widening like crazy when financial event /news announced, and ECN Broker spreads will be bigger than any fixed spreads broker. But i did not experience that with tickmill, in fact, i only had around 2.6 spreads widening with tickmill EcN when NFP . And to compare with my old broker, i can say they have great server with fast executions. never encountered any delay . Trade with them with $75 deposit, and already withdrew total $100 . Yep. Spreads are important to us as traders and wide spread is a no no. This one review and many others began to change our mind. We continue our research and became more convinced with with Tickmill.com. And we also want to see plenty of reviews on fund withdrawal. And so far, all seem fine with withdrawals from Tickmill.com. So after reading numerous good reviews, we decided to open an ECN Pro live account with Tickmill.com! And we were given a surprise No Deposit Bonus from Tickmill.com. We usually don’t bother with all these bonuses as it’s usually only a small amount and in this case, it’s $30 but since we got a nice welcome bonus from Tickmill.com, we immediately put the deposit to work. Don’t pay too much attention to the No Deposit Bonus as there are more important matters to consider when it comes to choosing your Forex Broker. Matters like tight spreads, execution, withdrawals and customer support (live chat) must all be above par before you consider the broker. And with Tickmill.com, we believe we have found a good broker and would recommend that you consider trading with them. And when you do, you have a nice small bonus of $30 that you can use to trade with.